The time to tackle the cold and flu season is before it starts, with a good diet, exercise, consistent hand-washing and sufficient sleep. All great immune boosters, but they are not always enough. Natural oils can boost the body’s defenses where good intentions leave off, and works best before the problem arises. Many oils are antibacterial, but only a few possess true anti-viral properties. The oil in a plant is it’s own defense against disease – and does the same for us. When applied to the skin, the antiviral-like properties can reach the bloodstream within 20 minutes – and deep cellular level within 24 hours. Here are a few tips that can make all the difference this coming winter and all year long. Consider adding cinnamon to your diet. It contains a very antibacterial essential oil, and is used widely for treatment of various ailments and has been reported to kill germs such as viruses and bacteria. Fresh oregano not only causes noteworthy damage to the strains of bacteria, but it also helps to minimize the bacteria’s ability to generate toxins. If you have an ingestible form of oil of oregano, then place several drops under your tongue as soon as you feel the symptoms of a cold or the flu coming on. It will begin to fight the infection immediately. has potent anti-viral, anti-bacterial, and anti-fungal properties, and is highly effective for bacterial and viral infections of the respiratory system. As an inhaler, it can help clear the air of viruses. Eucalyptus also breaks up chest congestion, and is wonderful for inflamed sinuses associated with head colds and chronic sinusitis. Applied topically, it is effective for aching muscles and joints. 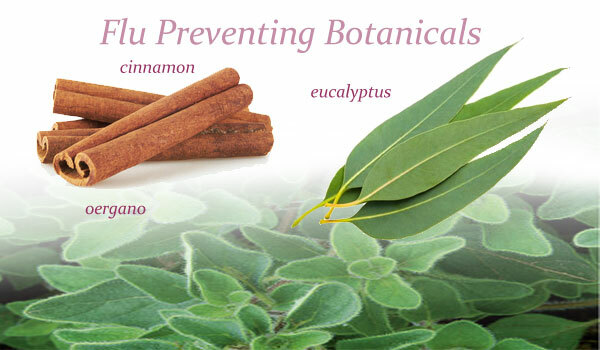 NutraLinks has harnessed the magic of eucalyptus, menthol and borneol into a pocket sized powerhouse of defense with Pepex. This unique 2 part system lets you apply the oils topically or inhale the vapors. Many people swear by the headache relieving properties as well! 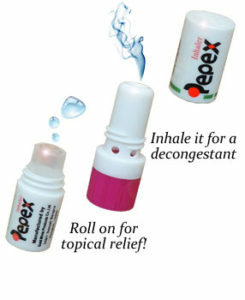 If you want to gear up for the flu season this winter, it is best to armor your body now with Pepex.